I had a request to write this up so I am doing it in a bit of hurry. Don’t hesitate to say it needs more detail or whatever if you need help. If you put them all into the same recovery plan they may not start in the right order, in fact I am pretty sure that will be true most of the time. The answer is in the design of your recovery plans. 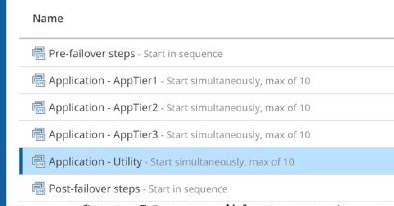 Use vSphere tags to group all of the first phase of the multiple tier apps, and another tag for the second phase, and so on. Once you do that you can have VM Groups that corresopond. So that means in the first VM group you have all the databases so they can start without any issue of order. So they all start fast. In the second VM group you have the second phase so again no issue of order so they can all start as fast as they can. In the third VM group you have all the third phase and again they all start fast. So this means now your apps are all running as they were started in the right order. I hope that this helps you with making faster recoveries. The fact is failovers are not too hard, but doing them in the time the bosses give you is much harder. Next Post unable to find repository – need a little help please!